Mom, Leigh and I started off Christmas Eve with a nice church service in Old Town while Kerry and Miss H took naps. It was nice to go to a noon service (plus we got to do a little shopping before) and the Christmas music was great. After an afternoon of trying to keep Miss H from removing all the ribbons from the presents, an enchilada dinner and assembling the car ramp- we were all ready for a good sleep. We knew we would be up bright and early. 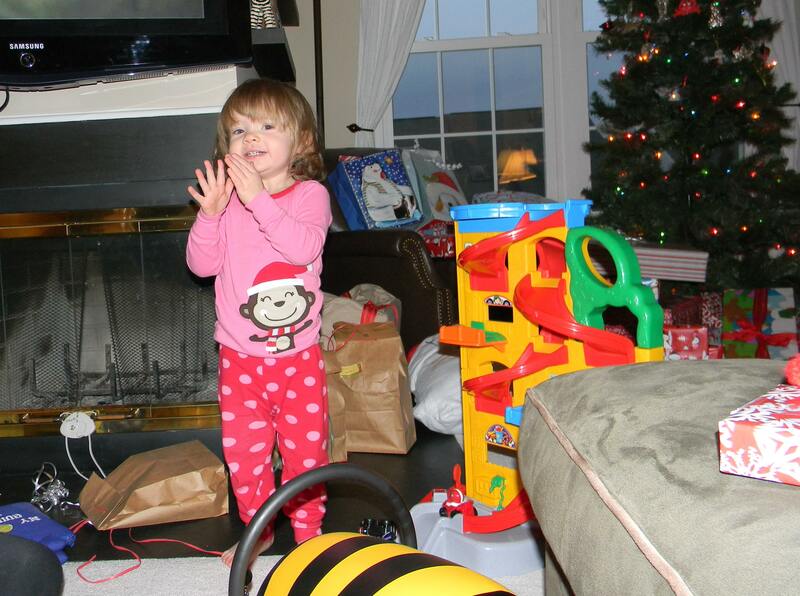 It was SO exciting for Miss H to have everyone in the house and all the presents under the tree. Miss H did not know what to play with first. 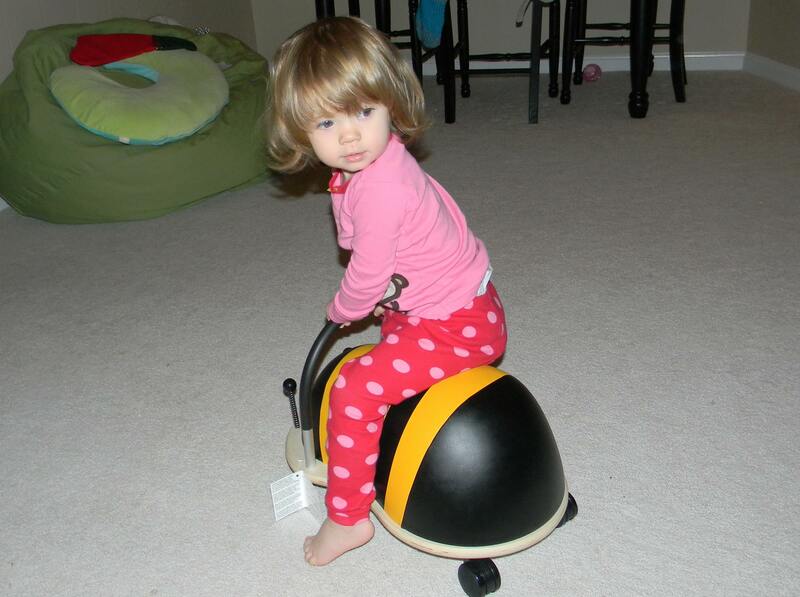 The car ramp and the Wheelie Bug from Santa were huge hits (and this was before we even got anything unwrapped). Leigh showed up with our traditional Christmas breakfast (cinnamon rolls and pigs in a blanket) just in time to see all the wake-up commotion. 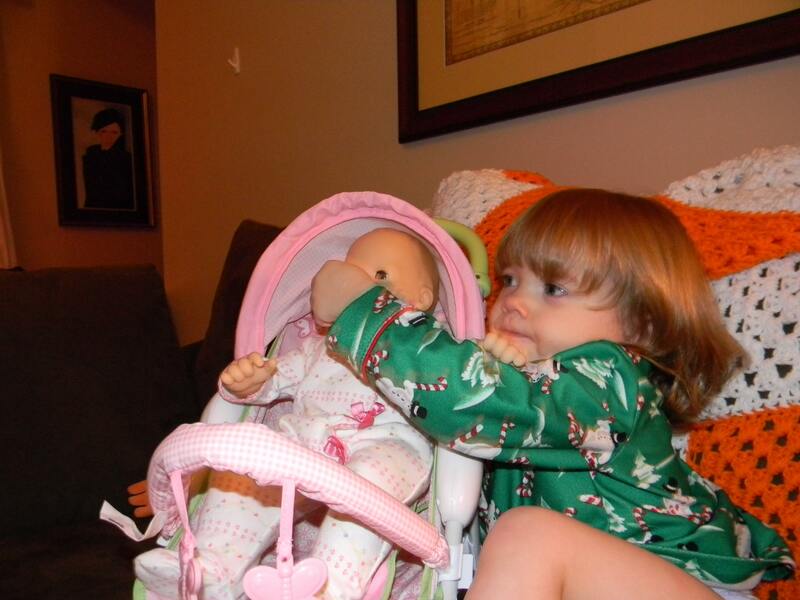 Miss H discovered there were more toys in her stocking and in packages under the tree. 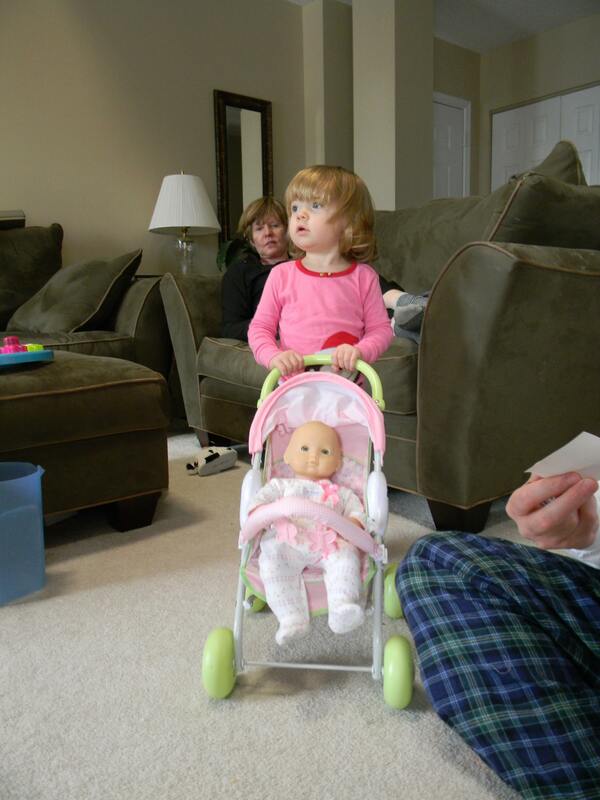 Another favorite of the day was the American Girl Bitty Baby from Mom and a stroller from Leigh. 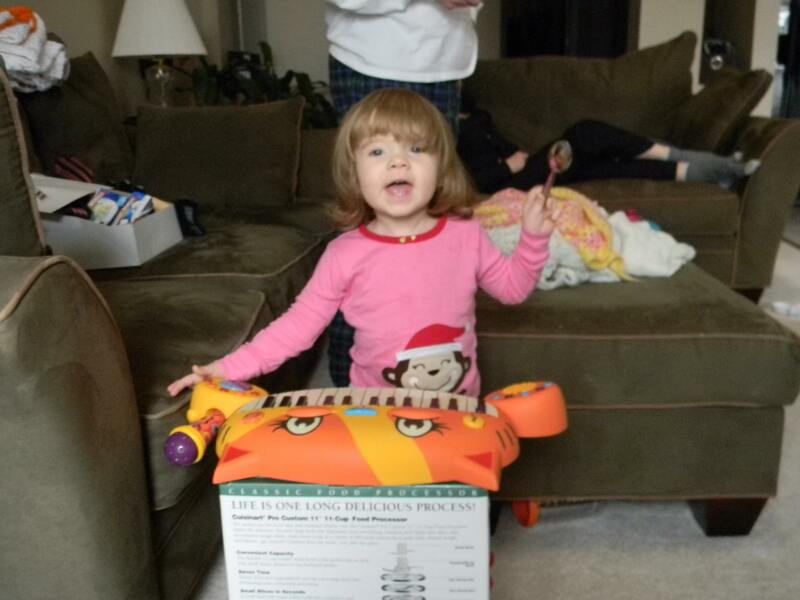 Then she opened the cat piano (fully equipped with a microphone that she loves) from Leigh and Chip. Luckily it has volume control but the singing does not. 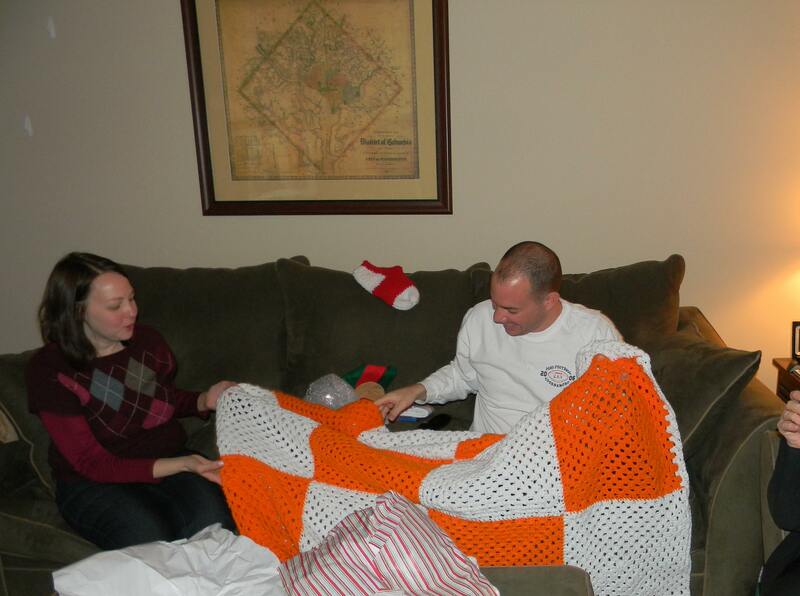 We got a few of our own presents squeezed in among the pile and Kerry got a great Tennessee quilt that Leigh made. 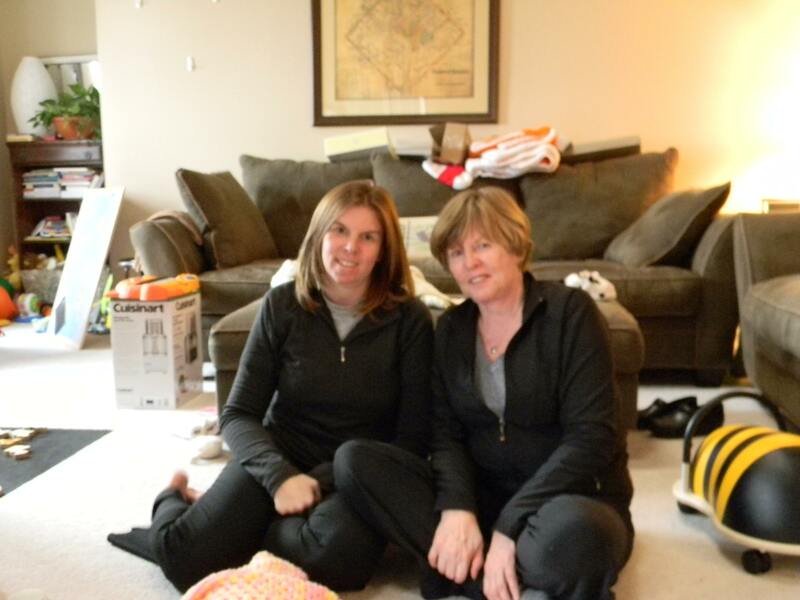 We all got spoiled by Mom, Leigh, Dad and Kathy and Kerry’s dad. I got really spoiled by Kerry too 🙂 I love my new watch and food processor (this was totally my wish and it went against Kerry’s ‘I can’t buy you a kitchen appliance as a gift’ voice in his head). 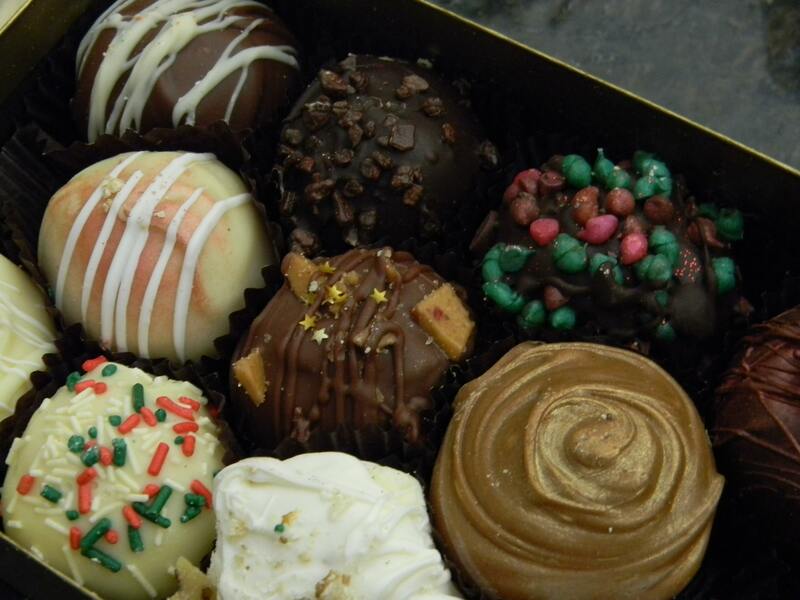 Another Christmas tradition I enjoy is the delivery of truffles from the Chubby Chipmunk in South Dakota that Dad and Kathy send. Miss H was so excited by all of it. 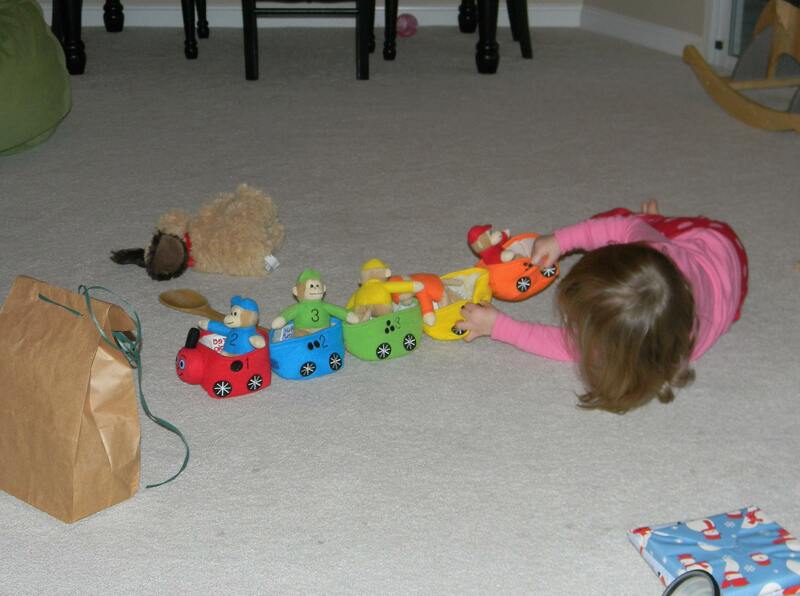 She eventually wore herself out and crashed for an afternoon nap. 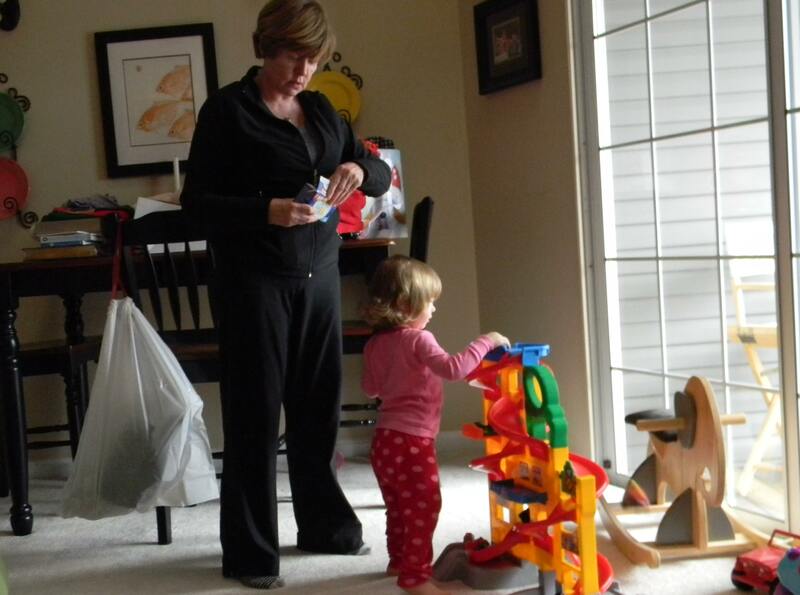 She was re-fueled for more playing time and it was hard to decide between the car ramp, the baby and the paino plus various books, a Barney doll, a puzzle, this gear toy thing, stacking blocks and the usual kitchen utensils. 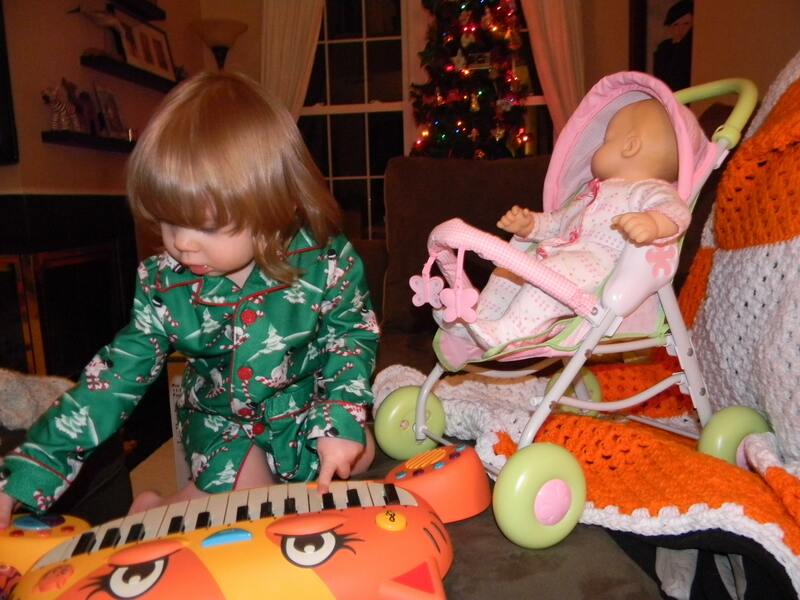 Since she is our little problem solver, she just pulled the stroller, the baby and the piano on the couch. 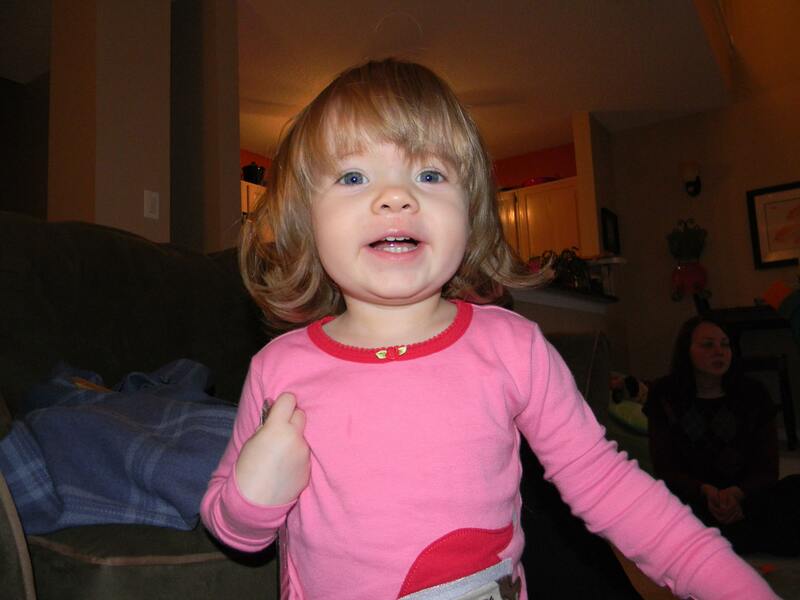 But, then the baby needed her afternoon snack of animal crackers. 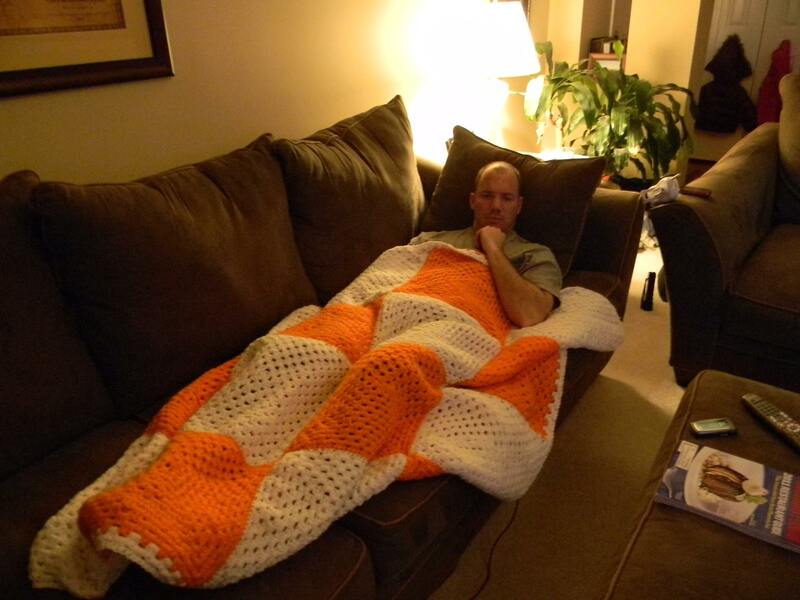 Kerry was so exhausted by it all that he is now camped out on the couch. We hope everyone has a wonderful Christmas! Now, we are on a winter storm watch and expecting several inches of snow tomorrow. More to come! How funny! 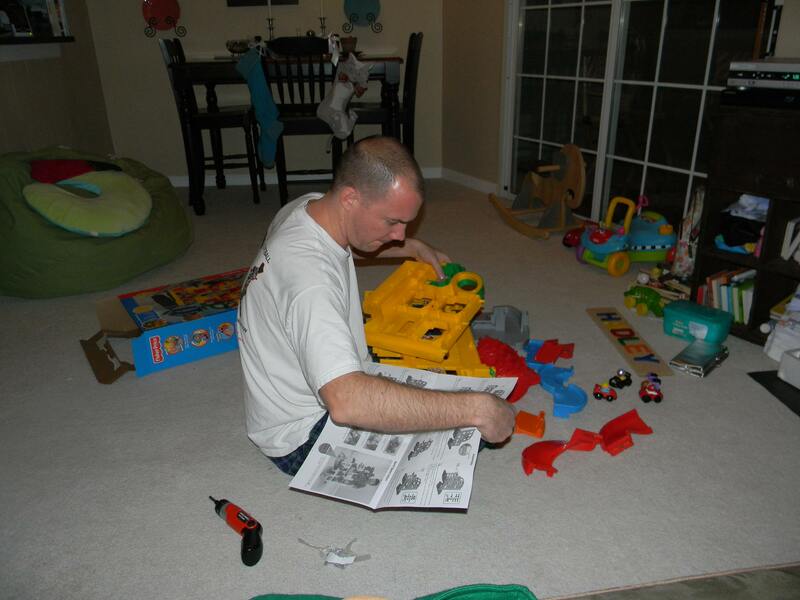 I also got a food processor–also my request–but it was from my in-laws. After making a ton of basil pesto last summer (to use up the basil in my garden) with my tiny little two-cup Cuisinart, I KNEW that I needed something bigger. This is such a sign that we’re getting older. Ten years ago, I never would have asked for a food processor for Christmas! !